Inside Out is the new animated feature from Disney and Pixar Studios. Pixar Films are always so well received by audiences and their original works tend to have something for everyone in them. 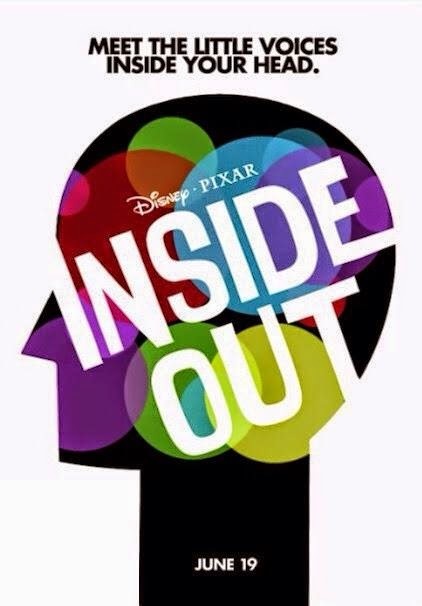 The synopsis for Inside Out is as follows: Growing up can be a bumpy road, and it’s no exception for Riley, who is uprooted from her Midwest life when her father starts a new job in San Francisco. Like all of us, Riley is guided by her emotions – Joy (Amy Poehler), Fear (Bill Hader), Anger (Lewis Black), Disgust (Mindy Kaling) and Sadness (Phyllis Smith). The emotions live in Headquarters, the control center inside Riley’s mind, where they help advise her through everyday life. As Riley and her emotions struggle to adjust to a new life in San Francisco, turmoil ensues in Headquarters. Although Joy, Riley’s main and most important emotion, tries to keep things positive, the emotions conflict on how best to navigate a new city, house and school.